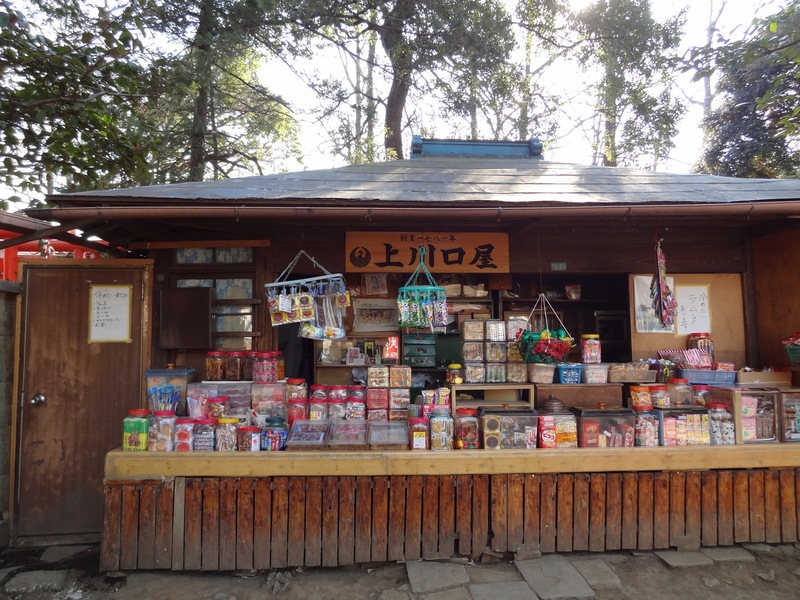 Takki went to this “dagashiya” or classic candy shop that’s located on the grounds of the Kishibojin Shrine. The shop itself existed before the Meiji Revolution even began and it has been standing for 230+ years now (even surviving through WWII). After being passed down for 13 generations, it is now owned and operated by Uchiyama Masayo-san. I visited the shop in January 2012 and met with Uchiyama-san. She was such a sweet lady! I asked about her interview with Takki and she said he was kakkoii and that many fans have visited her shop since the Tokyo Walker article was published. Apparently, Takki didn’t buy anything but he did talk about how the shop reminded him of his childhood. Especially, when he saw that she had “aoi juice” (blue-colored juice inside juice packs made of vinyl). Takki said he drank this a lot when he was a kid because it tasted like candy and it was thirst-quenching… And for poor elementary school kids, this was like killing two birds with one stone.